My last post jogged my brain cells a bit, and I got to thinking about current flow through a ferromagnetic material. Now, we know that a magnetized ferromagnetic material has intrinsic spin to its field, thus electrons which have the same spin can easily flow, whereas electrons with opposite spin will undergo spin flip scattering (where the electron is reflected), leading to a higher electrical resistance. Usually the electron undergoes spin flip scattering, flips its spin, and then re-enters the ferromagnetic material, whereupon it can flow with little resistance. So I got to wondering... what if we used a setup like above, but rather than putting just magnetism through the round part, we put actual current flow? Follow me here, it gets a bit complicated. Rather than using a solid core as we traditionally do, we use a bifilar coil of ferromagnetic wire. The electron's entrance to the bifilar coil's windings would be within the influence of the magnetic field, whereas the exit of the bifilar coil's windings would be outside the influence of the magnetic field... this forces segregation of the electrons into spin-up and spin-down, each going into their respective coil winding, but once through the coil, the spin current flow doesn't recombine until it's outside the magnetic influence. What does this get us? Well, the electrons with spin-up will easily go through one of the windings of the bifilar, whereas the electrons with spin-down will easily go through the other winding. So we've subdivided the current flow into only-spin-up and only-spin-down electron flows, otherwise known as spin polarization. In my Understanding and Exploiting Physical Phenomena thread, I mentioned the Spin Hall Effect, which is exactly what this is. What does this get us? Very low resistance. When the superlattice is placed in a magnetic field, however, the magnetization of all layers will align with the external field, creating the situation depicted below. Now only conduction electrons with spins toward the left of the page will experience the higher scattering rate. Thus the resistance of the material decreases in a magnetic field. 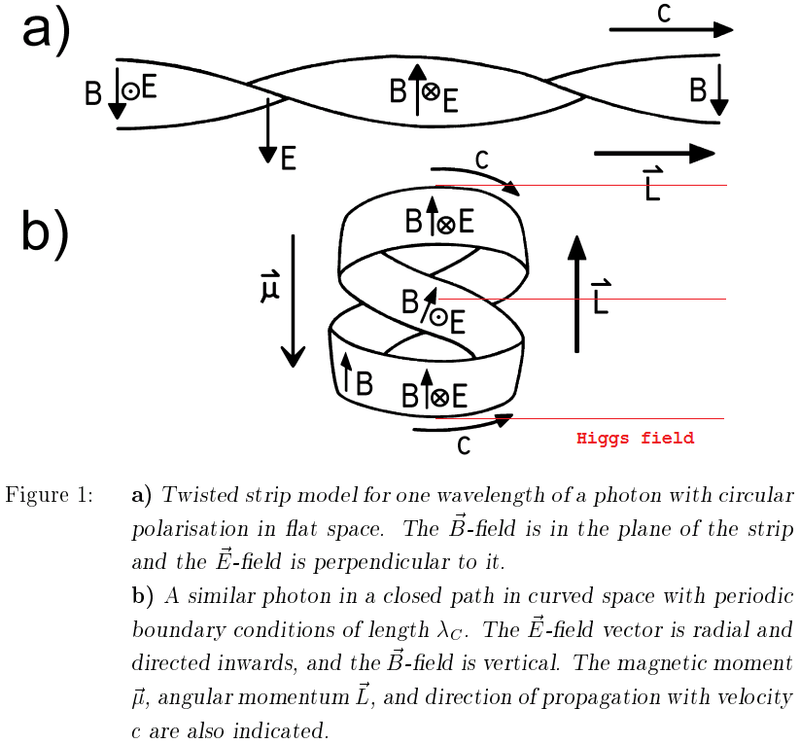 So we're using a bifilar coil as our 'superlattice', and we place it in a magnetic field. The bifilar coil is wound such that spin-up electrons and spin-down electrons are equally influenced by the applied magnetic field. Thus we get very little spin flip scattering once the electrons are in the bifilar coil (although at the entrance to the bifilar coil there will be spin flip scattering and electron segregation as spin-up and spin-down electrons flow into their respective windings of the bifilar coil). 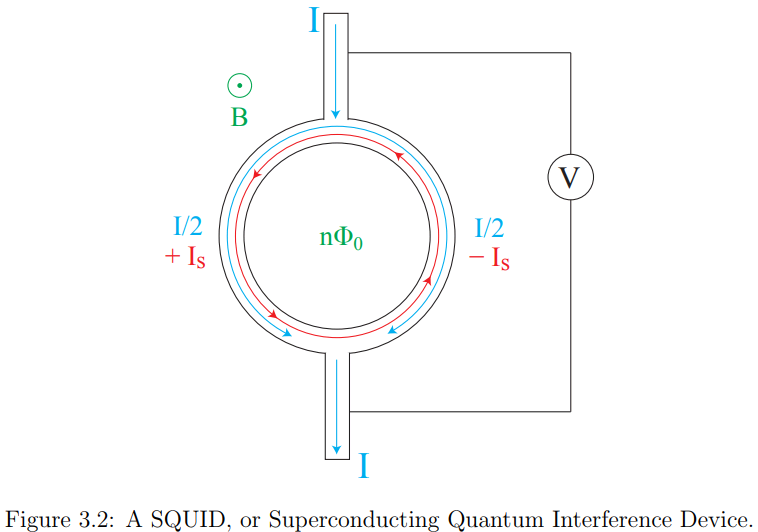 Thus the conduction electrons of both spin-up and spin-down experience lower scattering rates inside the bifilar coil, and thus the resistance of the bifilar coil should be very low. This is the inverse of Giant Magnetoresistance (GM)... and we know GM can result in as much as 100x higher resistance than normally exhibited. So the resistance in the bifilar coil should be very low indeed. Spin-up and spin-down currents circulate in opposite directions under a static magnetic field (and thus they usually cancel when within the same wire, which is why we don't get a current flow under a static magnetic field), so with proper winding of the bifilar coil, we can force them to flow in the same direction (toward the bifilar coil's exit wires) under influence of the magnetic field. Thus we get an additive spin current flow. We're taking electrons which normally would go in opposite directions under a static magnetic field, thus cancelling the voltage effect of that magnetic field, and we're getting them to go in the same direction, generating an additive voltage. I'd posited in an earlier post that if we could somehow find a way of segregating virtual photons from a permanent magnet according to their helicity, we could cause charge separation without motion... this accomplishes the same thing via a different avenue. Rather than separating virtual photons by helicity and applying the two streams (left helicity and right helicity) of virtual photons to two wires to cause charge separation (because the helicity of each virtual photon stream would interact preferentially with the spin-up or spin-down electrons in those two wires to move them without adversely affecting opposite-spin electrons within that wire... virtual photons will only interact with an electron with similar spin vector), we're instead separating electrons into spin currents and using an oppositely-wound bifilar coil to cause the combined left and right helicity virtual photons from the permanent magnet to interact with only spin-up and only spin-down electrons in each respective winding of that bifilar coil. Why do certain virtual photon helicities only interact with certain electron spin polarizations? Well, it's complicated, but let's touch on that topic. As I stated above, electrons can be segregated into spin currents (spin-up or spin-down) via the spin polarization process. And all virtual photons (magnetism) have either left- or right-handed helicity. All interactions between photons (virtual or real) and electrons are electromagnetic in nature. Peter Farago in 1980 discovered that electrons experience polarization-dependent scattering from chiral molecules just as photons do. The extension of this is that photons experience photon-helicity dependent and electron-spin dependent interaction with electrons. Virtual photons (ie: magnetism, photons which exist in our time frame for such a short period of time that we can neither directly measure nor observe them) experience the same effect. Where it gets really complicated is that what we know of as an "electron" is actually comprised of two particles! The left-chiral electron and right-chiral anti-positron. So we really should refer to the traditional 'electron' as a "mass electron". The two particles which comprise a mass electron have opposite chirality, and each time a mass electron pings off the Higgs field's non-zero vacuum expectation value, it changes its chirality and thus its particle type, from electron (e-L) to anti-positron (e-R) and back. I refer to the electron (e-L) and anti-positron (e-R) as chiral doppelgangers, two particles making up the one particle we know as the 'mass electron'. This Dirac mass combines two 2-component Weyl spinors into a 4-component Dirac spinor. Adding complication upon complication, we must also take into account the anti-particles. The anti-particles to the mass electron are the positron (e+L) and anti-electron (e+R). Similarly, I refer to the positron (e+L) and anti-electron (e+R) as chiral doppelgangers, two particles making up the one particle we know as the 'mass positron'. The electron (e-L), anti-electron (e+R), anti-positron (e-R), and positron (e+L). You'll note that while chirality changes, the intrinsic spin vector does not, which is why only certain helicity photons will interact with certain spin vector electrons. By separating the electrons into spin currents, we can cause electron flow (charge separation) without motion via geometrically arranging the windings such that both left- and right-helicity virtual photons push both spin currents in the same direction. Now, where it gets really interesting is that this brings the Higgs field into play. Two Weyl-mass particles can only mix to form a Dirac-mass particle if they carry the same quantum properties. For example, the electron (e-L) and the anti-positron (e-R) both have the same electric charge (-1). It would be impossible for the electron (e-L) and anti-electron (e+R) to mix because they have different electric charges. However, the electron (e-L) carries a weak charge (weak interaction cross-section) because it couples to the W boson, whereas the anti-positron (e-R) carries no weak charge (no weak interaction cross-section). Thus these two particles should not be able to mix. This mass particle (the "mass electron") should be prohibited by the “gauge invariance” of the W boson! The reason this mass particle is allowed is because of the Higgs non-zero vacuum expectation value. The Higgs carries weak charge. When it obtains a vacuum expectation value, it “breaks” the conservation of weak charge and allows the electron (e-L) to mix with the anti-positron (e-R) to form the "mass electron", even though they have different weak charges. What does this mean? We can couple to the weak interaction! And since the weak interaction is merely the residual strong interaction, we can thereby couple to the strong force (albeit with a very low cross-section)! This opens up all manner of possibilities... we have just beyond our grasp the ability to manipulate energy and matter at will, changing matter to energy and vice versa, extracting energy from the quantum vacuum, storing energy into the quantum vacuum for later use, and manipulating mass (and therefore gravitational effects and inertia). We simply have to figure out how to go about doing that. Thanks for sharing - both threads are, well, great; with some excellent links. Much appreciated! Getting down into the weeds, we'll discuss Electron Spin Resonance. Quantum mechanical spin can exhibit phenomena analogous to classical gyroscopic effects. For example, a magnetic field acts upon the electron's intrinsic magnetic dipole moment and thus exerts a torque on the electron, forcing the electron's spin vector to undergo spin precession just as a toy gyroscope undergoes precession in a gravity field. This is known as electron spin resonance. Electrons have a magnetic moment and a spin quantum number. In the presence of an external static magnetic field the electron's magnetic moment aligns itself either parallel or anti-parallel to the field, each electron's alignment having a specific energy due to the Zeeman effect. This splitting of the electron's energies is directly proportional to the strength of the magnetic field. This induces a torque upon the electron which causes it to move. For anti-parallel alignment, the electron energy level drops and the electron moves due to spin precession in one direction, whereas for parallel alignment, the electron energy level increases and the electron moves due to spin precession in the opposite direction. Within a single wire and in a static magnetic field (comprised of virtual photon flows of opposite helicities), the two effects cancel out, thus we get no current flow. But by dividing up the electrons into spin currents via the spin polarization process and putting those spin currents into a properly designed bifilar coil, the electrons are all allowed to align their spins parallel to the magnetic field (ie: parallel to the helicity of virtual photons which can act upon the electron), thus causing both spin currents to experience an increased electron energy level without cancellation from opposite-spin electrons. Thus for the right geometry coil, we should get current flow from the two spin currents without requiring motion. It is the motion (rotation) in traditional generators which breaks the 'deadlock' between the equal number of electrons experiencing an energy level increase and decrease, and thus electron motion in opposite directions. In a traditional generator, we are literally pushing parallel-aligned electrons more than we're pushing anti-parallel-aligned electrons (in fact, those anti-parallel-aligned electrons generate what we know as bEMF, and their spin flip scattering as those anti-parallel-aligned electrons attempt to align with the moving magnetic field is what generates what we know as resistance). While not exactly what I'm talking about, here's a study which uses what they call 'circular photogalvanic effect', utilizing electron-spin-dependent and photon-helicity-dependent photoexcitation to generate a current on the surface of a topological insulator (which they used because it naturally spin-polarizes the electrons, producing what they term 'topologically protected surface states'). The same effect will occur (as discussed above) with virtual photons (ie: magnetism), given that they are, after all, photons. It is intriguing to consider that whether such two conceptually related phenomena for electrons and photons could be coupled through a new way of light–matter interaction. Such an interaction may enable the conversion between the photon momentum to the electron spin and vice versa. Indeed, the strong spin–orbit coupling in topological insulator (TI) materials such as Bi2Se3 leads to lifted spin degeneracy and consequently selection rules for interband optical transitions that are dependent of the electron spin. As a result, circularly polarized light can selectively excite surface electrons with one type of spin and generate a directional, spin-polarized surface current13,14,15,16,17,18. This spin-polarized and helicity-dependent photoexcitation is illustrated in Fig. 1c. Because the photocurrent is generated without a bias voltage, it is named circular photogalvanic effect (CPGE), which has also been observed in other material systems with spin–orbit coupling19,20,21,22. However, only in TIs the effect is due to topologically protected surface states. Further similar topics which use this effect are here, here, here and here. Again, this isn't exactly the same as I discussed above... most of the experiments relied upon other means for electron spin polarization and relied upon circularly polarized photons, whereas my idea utilizes the magnetic field for spin polarization and relies upon virtual photons and coil geometry to generate the current flow. Going even further down this rabbit hole, we can hypothesize what makes up an electron at its very base. This is getting into Quantum Field Theory (which postulates that all matter is composed of standing or stationary waves of energy) and is purely hypothetical but does make a lot of sense. We can equate the electron to a single-wavelength circularly-polarized photon trapped in a stationary wave propagating in a double-loop in the form of a Mobius strip, which is the only configuration which gives correctly-vectored E-field and B-field. It also happens to handily explain the quantum spin of the electron of 1/2. Although I believe they've got the E-field and B-field vectors backwards... the E-field vector would be vertical (giving the electron its charge) and the B-field vector would be inward, (holding the electron together against the vertical E-field vector Coulombic forces). This is further evidenced by the fact that an electron at rest exhibits solely an E-field (static electricity), whereas relative motion in the frame of the electron exhibits a B-field (magnetic field) with a strength dependent upon the rate of relative motion. Motion distorts the "Mobius strip" of the electron's standing wave, allowing some of the inwardly-vectored B-field to be manifested outside the radius of the electron. IOW, they've got their Mobius strip flipped inside out. Ah, I see what they did... the E-field vector for an electron is inward facing, giving rise to a negative charge (whereas the E-field vector for a positron, the electron's anti-particle, is outward, giving rise to a positive charge), and the B-field is vertical, which due to the curved space around the electron, forms a closed loop and hence pulls the electron together against the repulsive Coulombic forces of the inward-facing E-field. It is the confinement of space-time in the vicinity of the electron, the constructive-interference topology of the Mobius-strip captured-photon path, and the commensurability of the field components with the orbital path which give rise to magnetic moment and charge. This would make the interaction between electron and photon a natural consequence of their both being different states of the same thing. We know that when an electron and positron annihilate at low collisional speeds, the product is two gamma-ray energy (0.5109989461 MeV, the rest mass of electron and positron) photons. Nothing else. At higher collisional speeds, there can also be emitted B mesons and W and Z bosons, or a virtual photon (which converts to a muon and anti-muon) but those are a consequence of the relativistic speed of collision due to the mass-energy equivalency... the energy of the high-velocity collision is converted to mass. Thus we can conclude that when no additional energy is added (to the velocity of the electron and positron) and no other particles are involved in the collision and annihilation, the only thing that results from the annihilation of electron and positron are two gamma-ray energy photons. ◊ Conservation of linear momentum and total energy (which is why two photons are emitted... a single photon would carry non-zero momentum, whereas two photons emitted diametrically opposite to each other conserves linear momentum). ◊ Conservation of angular momentum (the same chirality of electron (e-L) and positron (e+L) combined with the fact that anti-particles are considered to be moving in reverse through time conserves angular momentum). ◊ Conservation of lepton number (a lepton (electron) and anti-lepton (positron) annihilate giving a net zero lepton number). So we get a glimpse of what makes up an electron at its very base. How this ties into the electron (e-L) and anti-positron (e-R) which comprises a 'mass electron' is a bit complicated, but it relates to which 'side' of the Mobius strip standing wave the mass electron is currently on... you can think of the picture of the vertical Mobius strip above as being intersected at both top and bottom and at the middle by the scalar Higgs field (draw horizontal lines top, middle and bottom to represent the intersection points of the electron's wavemode with the Higgs field). In the picture above, the top and bottom red lines would equate to Higgs field wavemode 'peaks', whereas the middle red line would equate to a Higgs field wavemode 'trough'. The above knowledge gets us within spitting distance of answering the question, "How are electrons created (not just 'generated' or 'charge separated' as in a traditional electrical generator)?"... because if we know that, we know how to generate endless and vast amounts of electrical current.